When your sewer line becomes damaged, you are not the only one affected, even the general community will be. A broken sewer line often bring about raw sewage and wastewater spill. A bad occurrence like this was experienced in Oxnard some months ago when thousands of gallons of raw sewage spilled into the storm drain catch basin. The sewage spill was caused by a clogged sewer line. It was reported that about 6,400 gallons of raw sewage spilled into storm drain catch basin in Oxnard. Situations like this usually pollute the domestic water used in the community. This might end up leading to diseases and infections like diarrhea, cholera, and lots more. They also create breeding spots for pest and parasites. Do I Need Sewer Repair Services? Imagine waking up to meet the sewer line in your home clogged or broken, how will you feel? Emergency cases of broken sewer lines do not bode well at all. The comfort of everyone in the home will be affected. It is advisable to prevent this from happening. Inspecting your sewer line regularly is the best way to achieve that. Regular inspection offers the homeowner and residents the ability to detect any blockage before it escalates into a bigger issue. 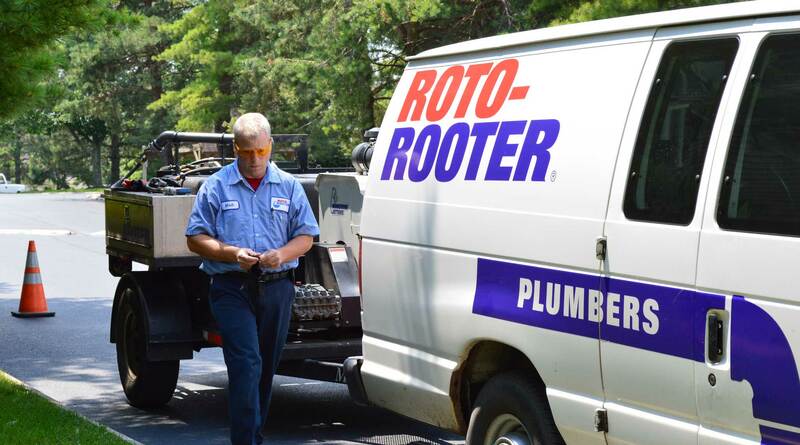 In case you are in search of dependable, expert sewer repairers and cleaners to help provide appropriate solutions to all your sewer line problems, Roto-Rooter is the ideal company to get the job done. With several years of experience in sewer line repair and cleaning, Roto-Rooter has been serving residents of Oxnard, CA and nearby communities. We have been recognized as one of the best sewer line repairers in Oxnard, CA. We are known to provide outstanding services when it comes to commercial plumbing, residential plumbing, sewer repair, pipe repair, and so forth. At Roto-Rooter, we work with a team of competent, highly skilled, sewer repair experts who are have been put through comprehensive training on how to fix any sewer line issues, be it broken or clogged sewer pipes. Using the right equipment, our expert sewer repairers will get your sewer line and entire piping system to the optimal performance. We will ensure that you get the optimum level of comfort in your Oxnard, CA home with no form of bad odor from sewage or wastewater spill. In addition, we will thoroughly inspect your whole sewer line. We will do this by making use of cutting edge video sewer inspection technique. We will be able to detect and determine the extent of the damage, and in case there are other damages, blockages, or the weak areas. Your sewer line will be repaired in no time. All our services are well detailed and transparent. Once you detect that your sewer line is draining water or sewage slowly, do not hesitate to call us for the repair of your sewer line. Even if your sewer line is broken or clogged, we will fix it within a short period. Even if you are in need of residential or commercial plumbing, Roto-Rooter can get it done. Call us today, your frequent sewer line concerns will be a thing of the past. GET A FREE SEWER REPAIR ESTIMATE!